Can you believe the holidays are here? It is almost New Years! 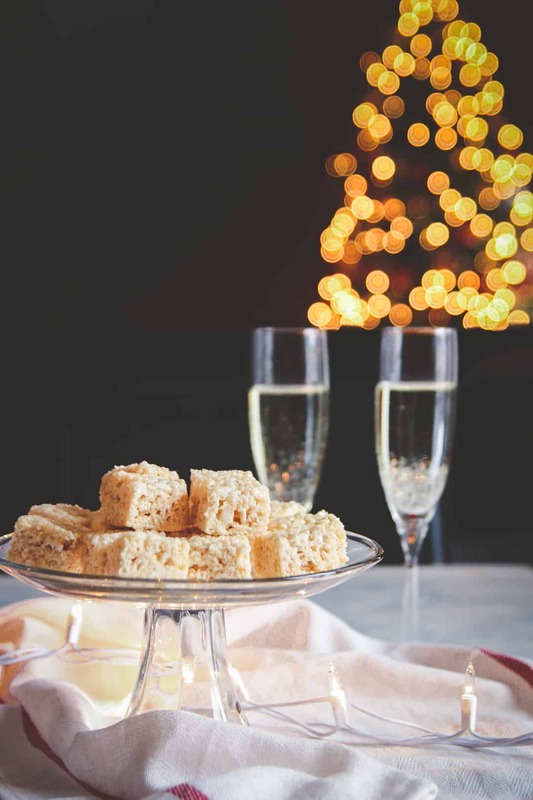 Here to help you celebrate I’m sharing a recipe for 5 ingredient champagne rice krispie treats which would be a fantastic New Years dessert recipe! This year has just absolutely flown by. Having baby Ben I think has accelerated time. 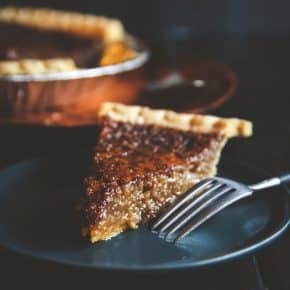 It seems like long gone are the days when I can spend hours making dessert recipes. 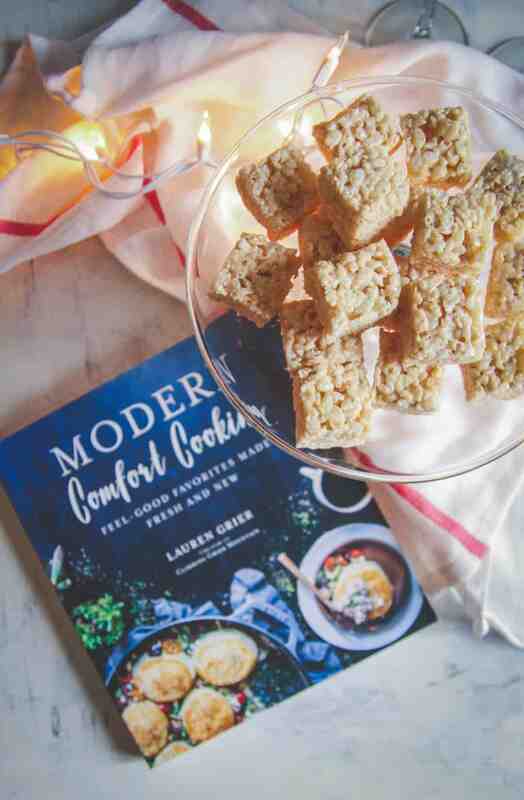 So when I got a copy of Lauren Grier’s new cookbook Modern Comfort Cooking: Feel-Good Favorites Made Fresh and New and was flipping through the gorgeous pages, these champagne marshmallow treats jumped out at me. When I read the description of the recipe and Lauren spoke of her mother always saving birthday’s by being able to make treats at the drop of a hat, and how this recipe is great for any impromptu party or celebration where a cake just won’t do, it totally pulled at my heart strings, and my desire to make a delicious treats, fast! I’ve met Lauren in person several times, and absolutely love her creativity – her photography is gorgeous (and she always has perfect hair, seriously, her curls are amazing)! Congrats Lauren on a beautiful new book. Can I share a little secret with you? 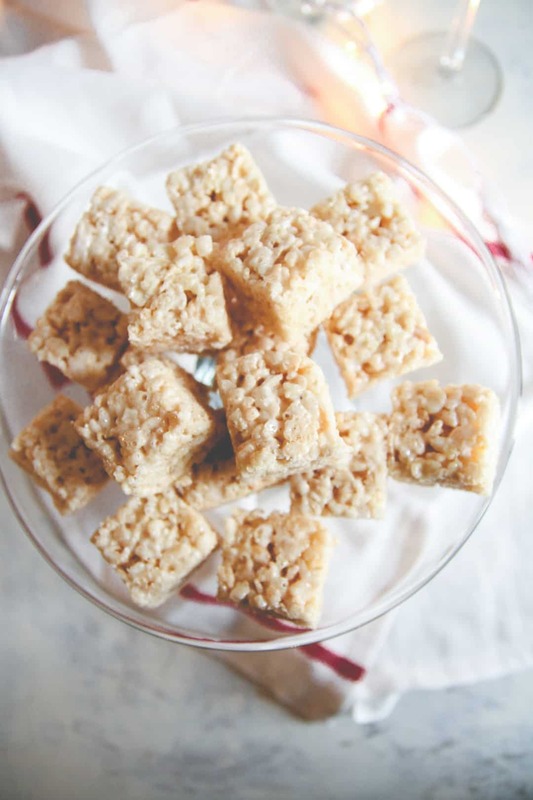 When I made these 5 ingredient champagne rice krispie treats, I cut them up nice and small, and then proceeded to pop them into my mouth one after another…I think I ate like 3…ok, fine, maybe more like 4 or 5. 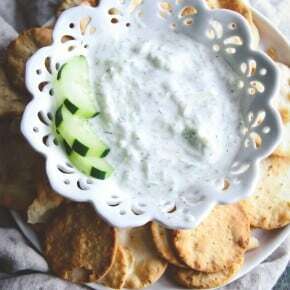 They’re insanely delicious, and make for the perfect New Years treat, I know I’ll be making these time and time again. I’d love to know – how are you spending your New Years? Nick and I keep it pretty low key, and I’m so looking forward to a little break between Christmas and New Years. I’ll be relaxing and feeling fancy while enjoying these champagne rice krispie treats, because hey – champagne makes everything feel that much more sparkly. 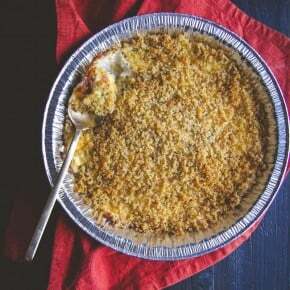 Line a 9 x 9 baking dish with foil. Spray with non stick cooking spray and set it aside. In a large skillet preheated to medium heat, melt the butter. Add the champagne, stir and let it simmer for about a minute. Next add the marshmallows and vanilla extract. Stir the marshmallows until completely melted, or about 4 minutes. Our New Year’s will be spent with Family !! The Best !! Happy New Year to You & Yours !! Sending you, Nick and Ben our love and our warmest wishes! Merry Christmas! I hope you feel better and are enjoying the holidays! I am coming down with a cold and just hope it goes away asap lol! Try to stay warm and stay indoors, we heard about the nasty cold in USA.